Kitchen appliances are an integral part of the Kitchen but yet they are one of the most neglected things when it comes to cleaning the Kitchen. And regular cleaning of Kitchen appliances is very important as they are a big investment in the Kitchen and it’s natural that we want them to last longer. We spend thousands of dollars to buy appliances for our kitchen. The best way to make sure that appliances last longer is by cleaning them and following proper maintenance guidelines. 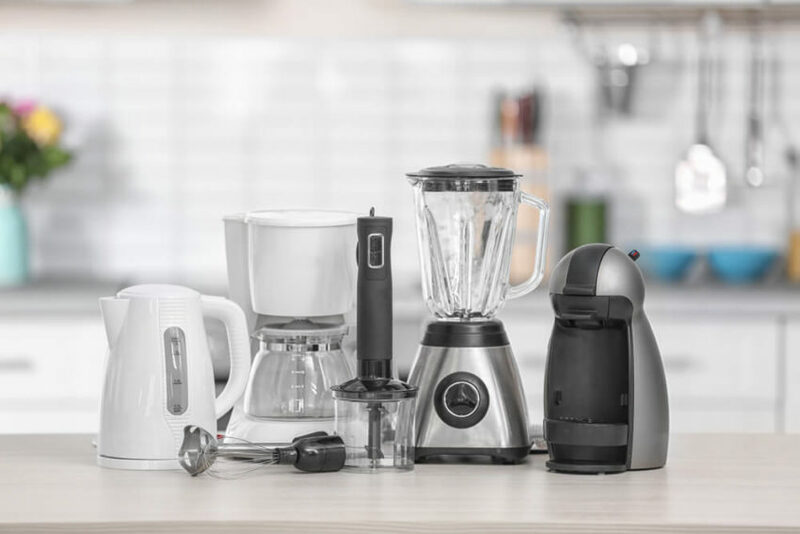 Now, you can definitely take the help from professional Kitchen appliance cleaners, but if you want you can also do it yourself, just follow these steps while cleaning different appliances. Note: Before you proceed with cleaning, make sure that you unplug the appliances from mains. Cleaning refrigerator. Is it easy? 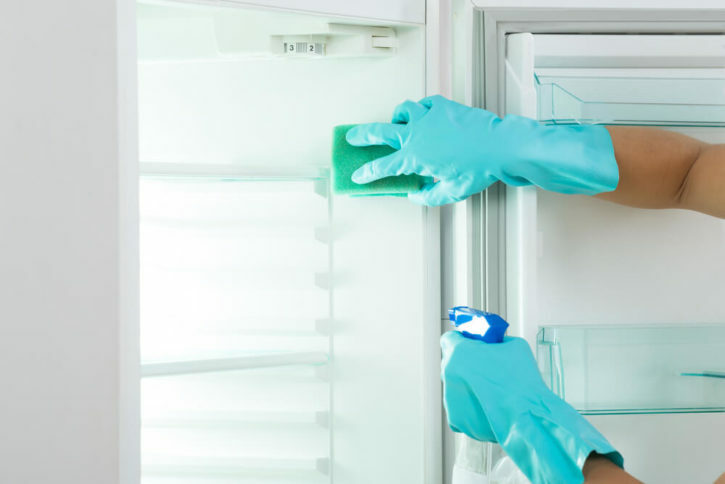 A frost free refrigerator should be cleaned every 4-6 months. You should necessarily wipe the drip pan whenever you clean your refrigerator. Defrost your freezer when the frost becomes 1-2 inch thick. Unplug the freezer and take out everything from food to trays, shelves, etc. Clean the trays, shelves and all with a soap solution or detergent. You can also wipe the interior of the refrigerator. Do not put food back into the freezer until all the frost is wiped off and the refrigerator is running for an at least ½ hour. Vacuum the dust behind your refrigerator. The exterior can be cleaned using commercial grade kitchen cleaners or even baking soda. It cleans and adds shine to your refrigerator. Rub the exterior of the refrigerator with a cloth dipped in baking soda water and wipe the refrigerator and then dry it with a soft cloth. Your fridge will be sparkling clean and a clean fridge is as important as an organized fridge. 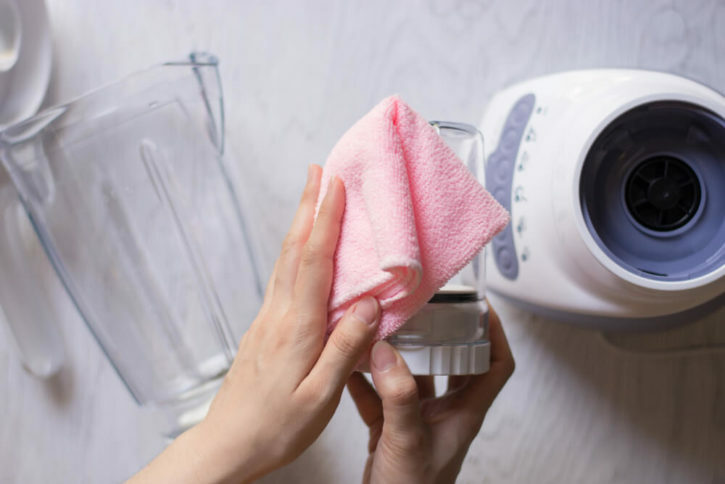 Always clean your blender by hand if you don’t know whether your blender can be cleaned in dishwasher or not. Unassemble the parts and then clean each part by hand using a soft cloth or brush soaked in warm soapy water. Allow to dry, then reassemble and use. With so much of use especially in making your favorite cookies, ovens accumulate dirt and grime over time. Use a glass cleaner, dish wash soap, baking soda to clean the inside of the oven. Use a glass cleaner to wipe down the glass tray. Note: Never ever use an oven cleaner in a microwave oven which is of commercial grade. If greasy and old food particles are stuck in the microwave, place a glass measuring cup with 1 cup water ¼ cup vinegar inside the microwave and then microwave on high for 2-3 minutes. Then take out the measuring cup and carefully wipe the interior of the oven with a wet sponge. Dishwashers can get pretty dirty in the process of cleaning your dishes, so they require regular cleaning. So how to do it? For the exterior, you can again use baking soda and follow the same process as for the refrigerator. The same technique will also eliminate stains from the liner. Use an artificial scouring pad to clean stubborn soil. The hard water stains and other stains on the inside can be cleaned by running a normal load using any powdered lemonade mix. Use a fine, soft and dry brush to dislodge the food particles in the coils, tray(if any) and inner walls of the toaster. That’s it, you don’t need to do anything else to get a clean toaster. Make sure to clean Kitchen appliances at a regular interval so dirt and grime don’t accumulate on them. Also, check out these kitchen organization hacks to keep your kitchen super organized. If you find the post useful, share it on Pinterest!